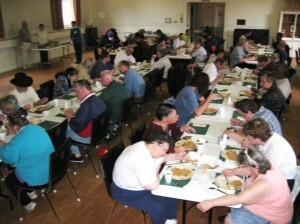 Because of our commitment to practical faith, we serve a free hot meal each Wednesday at 5pm. Each week a team of cooks and servers welcome our guests and provide a hot, nutritious dinner. Doors open at 3:30pm for coffee and light snacks. This ministry began in 1992 as a shared project with St. Joseph’s High School. 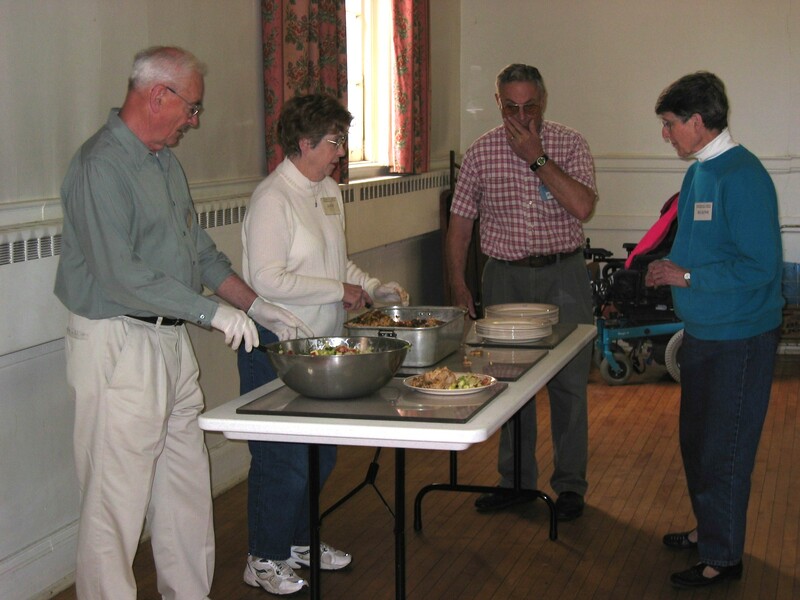 A year or two later it moved full-time to our kitchen and hall and continues to be a deeply ecumenical ministry inspired by the presence and efforts of Sr. Kathryn Flanagan along with a host of other committed souls. Over twenty years later this joint ministry is going strong, bringing together Catholic and Protestant in a weekly shared meal for our wider community.